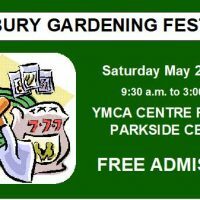 The Sudbury Gardening Festival is a celebration of gardening in Northeastern Ontario featuring gardening-related vendors, exhibitors, and speaker presentations. It also includes the Sudbury Horticultural Society’s spring plant sale and juried horticultural show. Admission is FREE and door prize draws are held throughout the day.